It’s your heart, sweat and tears that made it - make sure it’s covered. Not only is your home one of your most important investments, it’s your home and home to all of your belongings. 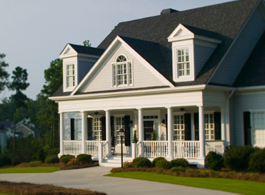 Let Empire Region Insurance Agency provide you with the best quotes on your homeowner's insurance. Get a quote on your Albany Homeowners Insurance Today! To get a quote on homeowners insurance simply click on the link to our online quote form below and one of our representatives will be happy to help you.